The type of art produced in Santa Fe is as widely diverse as the people that live here. 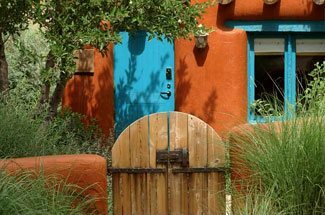 Santa Fe is a historic and colorful city, influenced deeply by Native American, international folk art, and contemporary arts. Within Santa Fe, there are a number of ways to interact with art, and the artists that call this community home. Walk the halls of Santa Fe’s world-class museums, or visit some of the 250+ art galleries lining Canyon Road, Lincoln Avenue, or the Railyard District. For a more personal and engaging experience, there is nothing better than heading to a local art market, where you can see and purchase goods made by local artists, and often meet the artists themselves. Santa Fe is a legendary trading center, dating back to the days of early explorations. While many of the popular Santa Fe Markets occur during the summer months, the winter months provide you with yet another wonderful chance to experience this aspect of Santa Fe’s culture; the winter art markets. 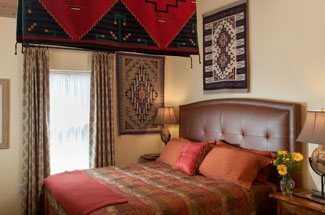 Book your stay with us now, so you don’t miss your chance to experience these one of a kind experiences in Santa Fe. Each year during Thanksgiving Weekend, visitors and residents of Santa Fe alike are given the chance to shop for unique and meaningful holiday gifts at the SWAIA Winter Indian Market. This year, this amazing winter art market will feature over 200 Native artists, five open studio artist demonstrations by award-winning artists, a screening of 2013 Class X film winners, a performance by world champion hoop dancer and Cirque du Soleil star Nakotah LaRance in collaboration with Brian Frejo, a Native designer fashion row, a youth artist demonstration, and a silent auction and raffle. 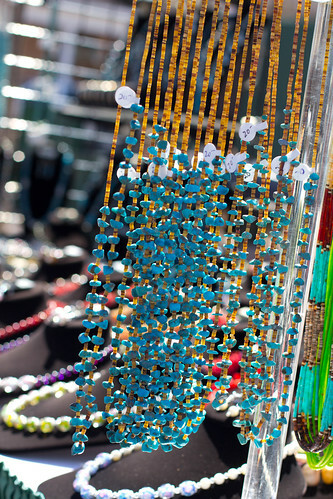 The annual summer Indian market draws a crowd upwards of 175,000 people. In contrast, the winter art market is a much more intimate event with smaller crowds, given each person a better chance at interacting with and discovering new artists. Also during the winter months in Santa Fe, you’ll have the opportunity to explore a diverse collection of local art at the Santa Fe Artists Market. This winter art market features a huge variety of artistic mediums throughout the Railyard District as well as Cathedral Park, and is an important opportunity for artists to raise artistic awareness throughout the general public. The market takes place on Saturdays, and features many different artistic expressions, ranging from paintings and drawings, photography, sculpture, textiles, furniture, jewelry, leather goods, in addition to metal, glass, and wood creations.